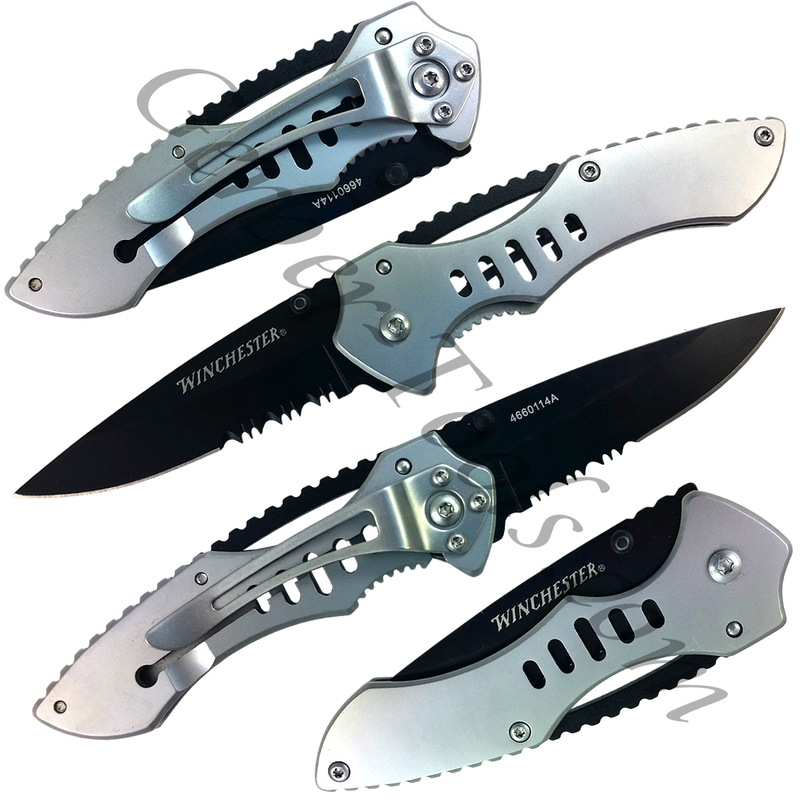 Winchester Tactical Clip Folding Knife 31-002652 is a 2.5 inch partially serrated knife. This drop point blade is coated with black oxide and the handle is powder coated aluminum. The contrast in colors between the silver handle and black blade really make this knife unique. 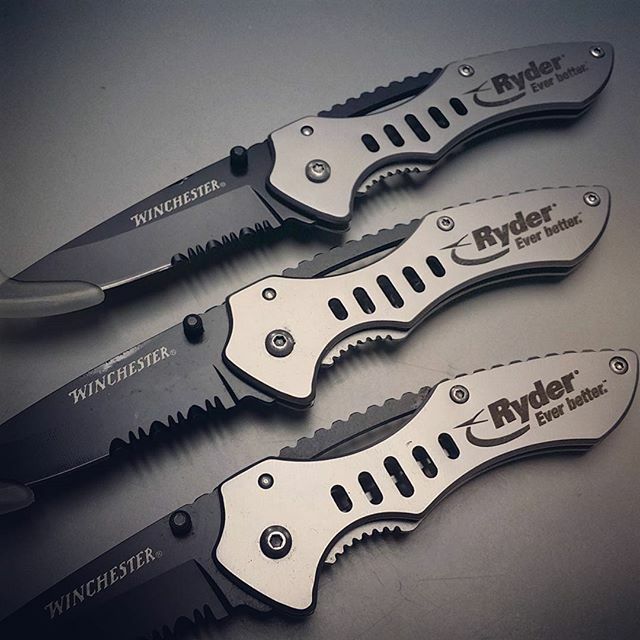 The knife opens with the dual thumb studs and locks up tight with a frame lock. The finger grooves helps to wrap your hands around this tight and the holes in the handle make it light weight and attractive all in one. The silver pocket clip on back makes it convenient to carry and attach. Great knife and very great price.